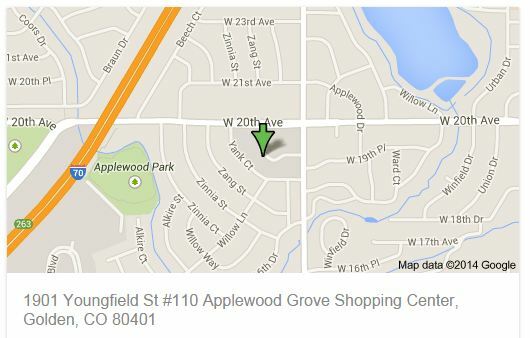 Elevation Physical Therapy is conveniently located in the Applewood Grove Shopping Center at 20th and Youngfield. We are less than five minutes from I-70. There is plenty of parking in front of our clinic. Look for the friendly people (or the blue mailbox in front). Massage Appointments: New Clients receive $15 off first massage.